one of our favorite places. I got the usual double-dipped beef sandwich a side of chili this time, Fritos and a can of Coke. Delish! After dinner we walked around Olvera Street. It is only a block away and of all the times we've been to Philippes we surprisingly haven't walked around there. I haven't been there since jr. high. It is said this is where the birthplace of Los Angeles. The little street has memorials to Spanish conquistadors as well as many vendors selling authentic Mexican treats, toys, shoes and other traditional items, and all the buildings are styled with beautiful Mexican architecture. There was also a little square where a large group of people and couples were salsa dancing to a DJ. It was fun to watch the people as they engaged in something that is clearly a large part of their culture. I decided I needed a churro, so we followed the scent to Mr. Churro where Nathan and I shared one filled with custard and another caramel. They were fresh and warm. A perfect little treat. We both agreed the custard filled one was the best. Its greag t hat you maintain a good figure . That's a good memory spot for us as well. I miss those sandwiches. We went there right before we moved for one last hurraw! I'm hosting a GIVEAWAY if you're interested! 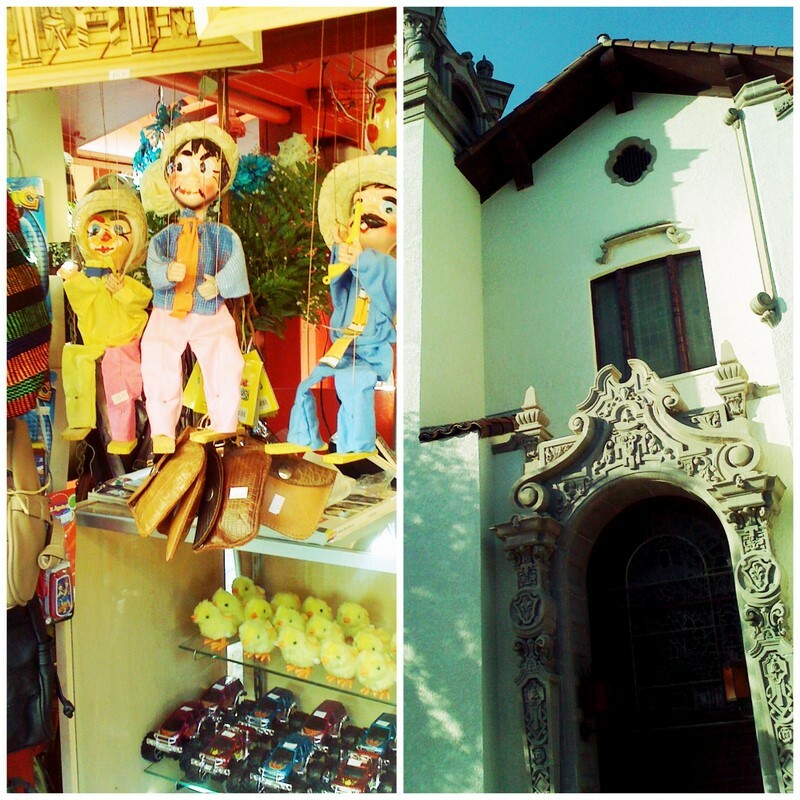 I love Olvera St! So fun.